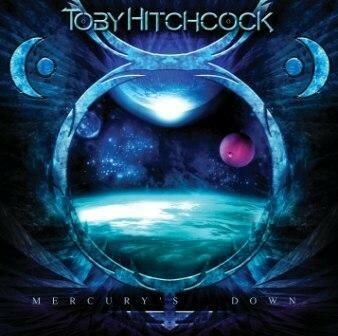 Along with ‘In Progress’ from Work of Art, another monster of an album also deserving of a perfect score is Toby Hitchcock’s solo debut entitled, ‘Mercury’s Down.’ For those of you who are familiar with his previous work with Pride of Lions (PoL), Toby is a vocalist known for always delivering a high caliber performance and this album is definitely no exception. Written and produced by Erik Martensson (Eclipse, W.E.T), ‘Mercury’s Down’ presents Toby at his heaviest and most powerful since his entrance on the scene with PoL. Songs like ‘Strong Enough,’ ‘That’s What I Should Have Said’ and the title track are all proof to the confidence and bravura with which the entire album is presented. If you are either a fan of Toby’s previous efforts fronting PoL, or Erik’s work with W.E.T, I guarantee you will find this CD in your player for an extended period of time. Coupled with the magnificent songwriting and musicianship from Erik, Toby delivers a performance that is dripping with all of the emotion and drama that has come to define his style. Each track features uplifting lyrics possessing a universal message of positivity and will surely speak to anyone that is inclined to listen. The production is simply amazing and every song is a winner. With the standards of this style of music being raised this high, where do we go from here?” In the immediate future and like Work of Art, I hope Toby finds an avenue to get out there and perform these songs live, as music of this quality should not to be relegated to the studio. In closing, there are simply two albums you cannot pass up this year…Toby Hitchcock’s ’Mercury’s Down’ and Work of Art’s ‘In Progress'.